Please bear in mind when reading this condensation of the book Road To Serfdom by Friedrich Hayek, on the description and danger of socialism, that in 1944 the word "liberalism" had a different meaning then than now. At that time it was a political philosphy that stood for progress through preserving the Autonomy of the INDIVIDUAL, and the protection of the INDIVIDUAL'S civil liberty. Oddly enough, today "liberalism" equals "socialism." Equally as odd, conservatism (and in many instances, libertarianism) champions the independence of the individual. No doubt about it, Hayek's The Road to Serfdom was explosively controversial from the beginning, especially his case that all forms of collectivism lead to tyranny. The book was first published on March 10, 1944 by Routledge in Britain, before the ending May 8, 1945 of the Nazi 3rd Reich in Germany and the surrender in World War II. Nobel Prize winning economist Ronald Coase recalls that during Britain's July 1945 parliamentary election campaign Winston Churchill cited Hayek in his dramatic campaign speeches, to help show that a Labor Party win would mean tyranny. Labor Party leader Clement Atlee ridiculed Hayek and defeated Churchill. Soon afterwards, Atlee began seizing coal, steel, railroads, ports and other businesses, and began extending rationing to basic foods such as potatoes, even though war was over. Opposition to Hayek's ideas was fierce in the United States, and a number of publishers rejected the book, but there were friends of freedom who worked wonders. Hayek authorized fellow Austrian economist Fritz Machlup, then working in Washington, to try finding an American publisher, but he was unsuccessful. He gave a copy of the Routledge page proofs to University of Chicago economics professor Aaron Director who met Hayek in 1943 when both were teaching at the London School of Economics. Director passed the page proofs to Frank Knight, founding father of the "Chicago School." Knight apparently gave them to William T. Couch, a classical liberal friend at the University of Chicago Press which agreed to publish the book on September 18, 1944. But since nobody expected it would sell many copies, the initial printing was only 2,000. It was a little wartime edition about 4- 7/8ths by 6-3/4 inches. To help the book gain a hearing, the publishers asked John Chamberlain, respected book editor for Harper's magazine and a devout libertarian, to write a foreword. His name appeared prominently on the cover. The initial reception was cool. On September 20, 1944, New York Times daily book reviewer Orville Prescott called it a "sad and angry little book." But then New York Times economics editorial writer Henry Hazlitt weighed in with a home run: a 1,500 word blockbuster review on the front page of the Sunday New York Times Book Review, September 24, 1944. Hazlitt declared that "Friedrich Hayek has written one of the most important books of our generation." The University of Chicago Press ordered another printing. The book sold 22,000 copies by year-end and sold this much again by spring 1945. Meanwhile, Reader's Digest editors DeWitt and Lila Acheson Wallace expressed interest in publishing an excerpt from the book, and the University of Chicago Press, eager to reach a popular audience, seems to have given away those rights for nothing. Hayek later remarked he never got a penny. In any case, The Road to Serfdom filled the first 20 pages of the April 1945 Reader's Digest under a banner headline drawn from Hazlitt's review: "One of the Most Important Books of Our Generation." This brought Hayek's story to about 8 million people in the U.S. alone. Subsequently, Book-of-the-Month Club distributed some 600,000 copies of a condensed edition. Sales records are incomplete, but there were a good many more printings after that, and the book eventually sold at least 230,000 copies in the U.S. Hayek went on a U.S. lecture tour, including prestigious places like Harvard University, and he decided he rather liked being a lightning rod for freedom. He expressed his views in popular publications like the Chicago Sun, Boston Traveler and New York Times Magazine. He met many friends of freedom with whom he was to collaborate in later years. Three dozen friends joined him to found the international Mont Pelerin Society. One of Hayek's friends, Milton Friedman, recalls that "From the time I first read some of his works, and even more from the time in the mid-1940s that I first met Friedrich Hayek, his powerful mind, his moral courage, his lucid and always principled exposition have helped to broaden and deepen my understanding of the meaning and the requisites of a free society." Friedrich A. Hayek (1899 -1992) was born in Vienna and obtained two doctorates from the University of Vienna, in law and political economy. He worked under Ludwig von Mises at the Austrian Institute for Business Cycle Research, and from 1929 to 1931 was a lecturer in economics at the University of Vienna. His first book, Monetary Theory and the Trade Cycle, was published in 1929. 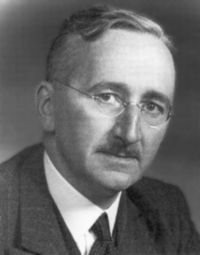 In 1931 Hayek was made Tooke Professor of Economic Science and Statistics at the London School of Economics, and in 1950 he was appointed Professor of Social and Moral Sciences at the University of Chicago. In 1962 he was appointed Professor of Political Economy at the University of Freiburg where he became Professor Emeritus in 1967. Hayek was elected a Fellow of the British Academy in 1944, and in 1947 he organised the conference in Switzerland which resulted in the creation of the Mont Pélerin Society. He was awarded the Nobel Prize in Economics in 1974 and was created a Companion of Honour in 1984. In 1991 George Bush awarded Hayek the Presidential Medal of Freedom. His books include The Pure Theory of Capital, 1941, The Road to Serfdom, 1944, The Counter-Revolution of Science, 1952, The Constitution of Liberty, 1960, Law, Legislation and Liberty, 1973–9, and The Fatal Conceit, 1988. I, the Author have spent about half my adult life in my native Austria, in close touch with German thought, and the other half in the United States and England. In the latter period I have become increasingly convinced that some of the forces which destroyed freedom in Germany are also at work here. The very magnitude of the outrages committed by the National Socialists has strengthened the assurance that a totalitarian system cannot happen here. But let us remember that 15 years ago the possibility of such a thing happening in Germany would have appeared just as fantastic not only to nine tenths of the Germans themselves but also to the most hostile foreign observer. There are many features which were then regarded as "typically German" which are now equally familiar in America and England, and many symptoms that point to a further development in the same direction: the increasing veneration for the state, the fatalistic acceptance of "inevitable trends," the enthusiasm for "organization" of everything (we now call it "planning"). The tragic character of the danger is, if possible, even less understood here than it was in Germany. In Germany it was largely people of good will, whose socialist beliefs prepared the way for the forces which stand for everything they detest. Few recognize that the rise of fascism and Nazism was not a reaction against socialism but a necessary (and inevitable) outcome of the trend towards socialism. Yet it is significant that many of the leaders of these movements, from Mussolini down (and including Laval and Quisling) began as socialists and ended as Fascists or Nazis. In the democracies at present, many who sincerely hate all of Nazism's manifestations are working for ideals whose realization would lead straight to such abhorred tyranny. Many influential people in society are in some measure socialists. They believe that our economic life should be "consciously directed," that we should substitute "economic planning" for the competitive system. Yet is there a greater tragedy imaginable than that, in our endeavor consciously to shape our future in accordance with high ideals, we should in fact unwittingly produce the very opposite of what we have been striving for? In order to achieve their ends, the planners must create power - power over men wielded by other men - of a magnitude never before known. Democracy is an obstacle to this suppression of freedom which the centralized direction of economic activity requires. Hence arises the clash between planning and democracy. Many socialists have the tragic illusion that by depriving private individuals of the power they possess in an individualist system, and transferring this power to society, they thereby extinguish power. What they overlook is that, by concentrating power so that it can be used in the service of a single plan, it is not merely transformed but infinitely heightened. An amount of power is created infinitely greater than any that existed before, so much more far-reaching as almost to be different in kind. It is entirely fallacious to argue that the great power exercised by a central planning board would be "no greater than the power collectively exercised by private boards of directors." There is, in a competitive society, nobody who can exercise even a fraction of the power which a socialist planning board would possess. To decentralize power is to reduce the absolute amount of power, and the competitive system is the only system designed to minimize the power exercised by man over man. Who can seriously doubt that the power which a millionaire, who may be my employer, has over me is very much less than that which the smallest bureaucrat possesses who wields the coercive power of the state and on whose discretion it depends how I am allowed to live and work? Our generation has forgotten that the system of private property is the most important guarantee of freedom. It is only because the control of the means of production is divided among many people acting independently that we as individuals can decide what to do with ourselves. When all the means of production are vested in a single hand, whether it be nominally that of "society" as a whole or that of a dictator, whoever exercises this control has complete power over us. In the hands of private individuals, what is called economic power can be an instrument of coercion, but it is never control over the whole life of a person. But when economic power is centralized as an instrument of political power it creates a degree of dependence scarcely distinguishable from slavery. It has been well said that, in a country where the sole employer is the state, opposition means death by slow starvation. Perhaps the greatest result of this unchaining of individual energies was the marvelous growth of science. Science made the great strides which in the last 150 years have changed the face of the world. The result of this growth surpassed all expectations. Wherever the barriers to the free exercise of human ingenuity were removed, man became rapidly able to satisfy ever-widening ranges of desire. By the beginning of the 20th century the workingman in the Western World had reached a degree of material comfort, security and personal independence which 100 years before had hardly seemed possible. The effect of this success was to create among men a new sense of power over their own fate, the belief in the unbounded possibilities of improving their own lot. What had been achieved came to be regarded as a secure and imperishable possession, acquired once and for all; and the rate of progress began to seem too slow. Moreover, the principles which had made this progress possible came to be regarded as obstacles to speedier progress, impatiently to be brushed away. It might be said that the very success of liberalism became the cause of its decline. According to the views now dominant, the question is no longer how we can make the best use of the spontaneous forces found in a free society. We have in effect undertaken to dispense with these forces and to replace them by collective and "conscious" direction. It is significant that this abandonment of liberalism, began in Germany. During the last quarter of the 19th century and the first quarter of the 20th, Germany moved far ahead in both the theory and the practice of socialism, so that even today Russian discussion largely carries on where the Germans left off. The Germans, long before the Nazis, were attacking liberalism and democracy, capitalism and individualism. Long before the Nazis, too, the German and Italian socialists were using techniques of which the Nazis and Fascists later made effective use. The idea of a political party which embraces all activities of the individual from the cradle to the grave, which claims to guide his views on everything, was first put into practice by the socialists. It was not the Fascists but the socialists who began to collect children at the tenderest age into political organizations to direct their thinking. It was not the Fascists but the socialists who first thought of organizing sports and games, football and hiking, in party clubs where the members would not be infected by other views. It was the socialists who first insisted that the party member should distinguish himself from others by the modes of greeting and the forms of address. It was they who, by their organization of "cells" and devices for the permanent supervision of private life, created the prototype of the totalitarian party. By the time Hitler came to power, liberalism was dead in Germany. And it was socialism that had killed it. To many who have watched the transition from socialism to fascism at close quarters the connection between the two systems has become increasingly obvious, but in the democracies the majority of people still believe that socialism and freedom can be combined. They do not realize that to strive for socialism produces something utterly different - the very destruction of freedom itself. As has been aptly said: "What has always made the state a hell on earth has been precisely that man has tried to make it his heaven." It is disquieting to see in England, [Australia,] and the United States today the same drawing together of forces and nearly the same contempt of all that is liberal in the old sense. "Conservative socialism" was the slogan under which a large number of writers prepared the atmosphere in which National Socialism succeeded. It is "conservative socialism" which is the dominant trend among us now. Everybody desires, of course, that we should handle our common problems with as much foresight as possible. Hence the popularity of "planning." The dispute between the modern planners and the liberals is not on whether we ought to employ systematic thinking in planning our affairs. It is a dispute whether we should create conditions under which the knowledge and initiative of individuals are given the best scope so that they can plan most successfully; or whether all economic activities should conform to a "blue-print" written by powerful planners. It is important not to confuse opposition against centralist planning with a dogmatic laissez faire attitude. The liberal argument is based on the conviction that, where effective competition can be created, it is a better way of guiding individual efforts than any other. It emphasizes that in order to make competition work beneficially a carefully thought-out legal framework is required. Competition is not only the most efficient method known, it is also the only method which does not require the coercive or arbitrary intervention of authority. It dispenses with social control and gives individuals a chance to decide whether the prospects of a particular occupation are sufficient to compensate for the disadvantages connected with it. The successful use of competition does not preclude some types of government interference. For instance, to limit working hours or to require certain sanitary arrangements. An extensive system of social services is fully compatible with the preservation of competition. There are, too, certain fields where the system of competition is impracticable. For example, the harmful effects of deforestation or of the smoke of factories cannot be confined to the owner of the property in question. But a few exceptions do not prove that we should suppress competition where it can be made to function. To create conditions in which competition will be as effective as possible, to prevent fraud and deception, to break up monopolies - these tasks provide a wide and unquestioned field for state activity. This does not mean that it is possible to find some "middle way" between competition and central direction, though nothing seems at first more plausible, or is more likely to appeal to reasonable people. Although competition can bear some admixture of regulation, it cannot be combined with planning to any extent without ceasing to operate as an effective guide to production. Both competition and central direction become poor and inefficient tools if they are incomplete. A mixture of the two means that neither will work. Planning and competition can be combined only by planning for competition, not by planning against competition. The planning against which all our criticism is directed is solely the planning against competition. There is no doubt that most of those in the democracies who demand a central direction of all economic activity still believe that socialism and individual freedom can be combined. Yet socialism was early recognized by many thinkers as the gravest threat to freedom. It is rarely remembered now that socialism in its beginnings was frankly authoritarian. It began quite openly as a reaction against the liberalism of the French Revolution. The French writers who laid its foundation had no doubt that their ideas could be put into practice only by a strong dictatorial government. The first of modern planners, Saint-Simon, predicted that those who did not obey his proposed planning boards would be "treated as cattle." To allay these suspicions and to harness to its cart the strongest of all political motives - the craving for freedom - socialists began increasingly to make use of the promise of a "new freedom." Socialism was to bring "economic freedom," without which political freedom was "not worth having." To make this argument sound plausible, the word "freedom" was subjected to a subtle change in meaning. The word had formerly meant freedom from coercion, from the arbitrary power of other men. Now it was made to mean freedom from necessity, the old demand for a redistribution of wealth. They meant freedom reduced to hunger for power and wealth. The claim that a planned economy would produce a substantially larger output than the competitive system is being progressively abandoned by most students of the problem. Although our modern socialists' promise of greater freedom is genuine and sincere, in recent years observer after observer has been impressed by the unforeseen consequences of socialism, the extraordinary similarity in many respects of the conditions under "communism" and "fascism." As the writer Peter Drucker expressed it in 1939, "Fascism is the stage reached after communism has proved an illusion, and it has proved as much an illusion in Russia as in pre-Hitler Germany." No less significant is the intellectual outlook of the rank and file in the communist and fascist movements in Germany before 1933. The relative ease with which a young communist could be converted into a Nazi or vice-versa was well known, best of all to the propagandists of the two parties. The communists and Nazis clashed more frequently with each other than with other parties simply because they competed for the same type of mind and reserved for each other the hatred of the heretic. Their practice showed how closely they are related. To both, the real enemy, the man with whom they had nothing in common, was the liberal of the old type. While Nazis, communists and socialists are potential recruits made of the right timber for each othre, they all know that there can be no compromise between them and those who really believe in individual freedom. What is promised to us as the Road to Freedom is in fact the Highroad to Servitude. For it is not difficult to see what must be the consequences when democracy embarks upon a course of planning. The goal of the planning will be described by some such vague term as "the general welfare." Without total agreement on the ends of planning, central planning will be rather like a journey where most travellers disagree over where they want to go. The result is they may all make a journey which most of them do not want at all. Democratic assemblies cannot function as planning agencies. They cannot produce agreement on everything - the whole direction of the resources of the nation. The number of possible courses of action will be legion. Even if a congress could, by proceeding step by step and compromising at each point, agree on some scheme, it would certainly in the end satisfy nobody. To draw up an economic plan in this fashion is even less possible than, for instance, successfully to plan a military campaign by democratic procedure. As in strategy it would become inevitable to delegate the task to experts. And even if, by this expedient, a democracy should succeed in planning every sector of economic activity, it would still have to face the problem of integrating these separate plans into a unitary whole. There will be a stronger and stronger demand that some board or some single individual should be given power to act on their own responsibility. The cry for an economic dictator is a characteristic stage in the movement toward planning. Thus the legislative body will be reduced to choosing the persons who are to have practically absolute power. There is no justification for the widespread belief that, so long as power is conferred by democratic procedure, it cannot be arbitrary. It is not the source of power which prevents it from being arbitrary; to be free from dictatorial qualities the power must also be limited. Even a democratic "dictatorship of the proletariat," undertaking centrally to direct the economic system, would probably destroy personal freedom as completely as any autocracy has ever done. In wartime, subordination of almost everything to the immediate need of victory comes at a price by which we preserve our freedom in the long run. The fashionable phrases about doing for the purposes of peace what we have learned to do for the purposes of war are completely misleading, for it is sensible temporarily to sacrifice freedom in order to make it more secure in the future, but it is quite a different thing to sacrifice liberty permanently in the interests of a planned economy. To those who have watched the transition from socialism to fascism at close quarters, the connection between the two systems is obvious. The realization of the socialist program means the destruction of freedom. Democratic socialism, the great utopia of the last few generations, is simply not achievable. This is a classic from a great world economist of a bygone era. Because he condemned national socialism after WWII, his works became popular. Today he is ignored largely because his condemnation was of socialism in general, and the banking and education and media elite don't approve of criticism of their favorite philosophy. More importantly, they're afraid someone might recognize that our own system is now one of Multinational Corporate Fascism. This trending and outcome may be further explored in The Law by Frédéric Bastiat. I would suggest that the elevation of individuality is honored more in the breach than in practice. The lifestyle dictates of contemporary society at large run counter to the freedom of the individual to decide for himself what constitutes happiness and the good life. The urge for security rubs against the desire for freedom and always will. I advocate that we press in the direction of individual freedom, and the concomitant responsibilities to ourselves, our posterity, and the preservation of the Nation and the Constitution For The United States. 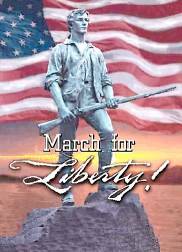 We must regain the conviction on which liberty in our country has been based and which Benjamin Franklin so aptly expressed in a phrase applicable to us as individuals no less than as a nation: "Those who would give up essential liberty to purchase a little temporary safety deserve neither liberty nor safety."